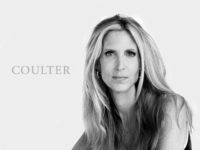 Here I break down all the best (Spoiler alert! 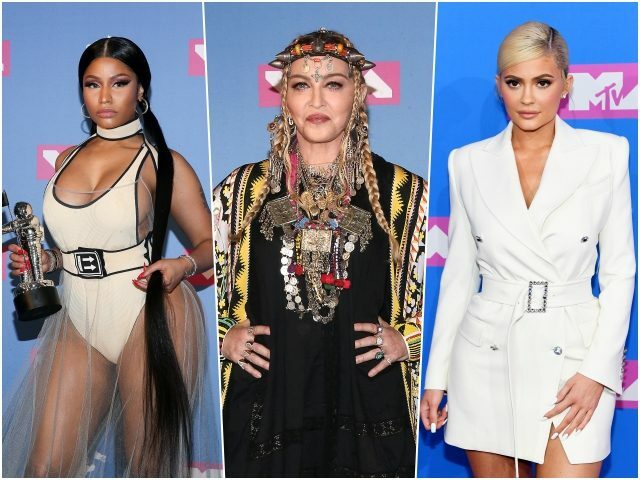 There’s only two) and the worst looks from the VMAs red carpet. Get ready to have your retina burned like never before from this awful fashion choices! You know this is a D-List red carpet, first off, when the best-dressed woman there is a member of the Kardashian family. To Kylie’s credit, she looks demure and all grown up in this stark white Tom Ford suit — like a playful version of First Lady Melania Trump’s iconic white Michael Kors suit (Remember how beautiful that was?!). The slicked back blonde hair and strappy satin stilettos make Kylie one of only two beauties on the red carpet from Monday’s VMAs. There is not a single starlet in Hollywood that is aging as poorly and disgracefully as Madonna. Between her nearly unrecognizable face (Excessive Botox is not your friend, ladies!) and her incessant need to continue to at least attempt to shock the public, Madonna has gone awry. 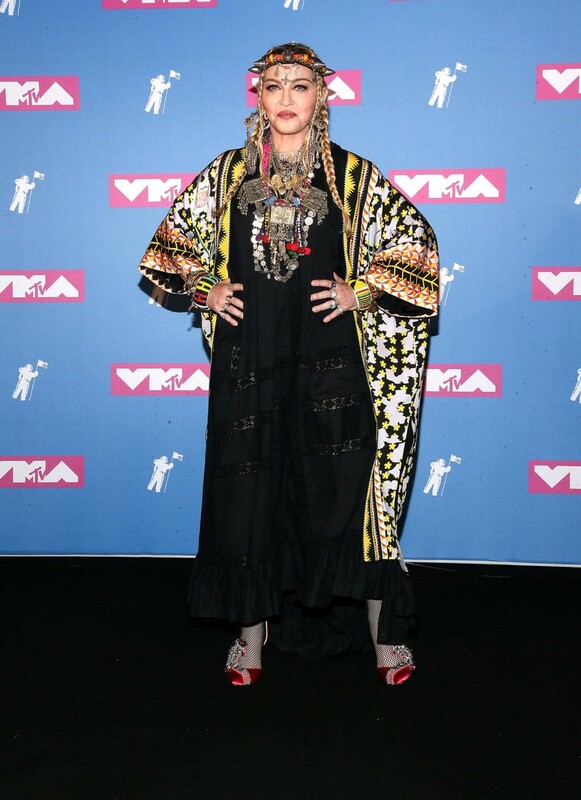 Who would have thought that the beautiful, blonde Material Girl would ever show up to a red carpet looking like a rained-on tribal leader? This is a Halloween costume at best and a hideous nightgown at worst. What a shame. Nicki Minaj’s Off-White bathing suit dress is sort of like a metaphor for contemporary Hollywood culture: Trashy, tacky, and nothing like the days of yesteryear. For a second, think back to the stunning Donna Summer in a gold beaded disco dress. Or Diana Ross in a satin plunging neckline with a white mink wrapped around her shoulder. 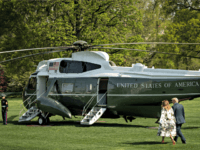 That was the era of style, the era of grace, the era of American fashion. Today, we’re stuck with Minaj in a one-piece bathing suit and a sheer overlay. All the stars are gone, nowhere to be found. If you’re Ariana Grande today, you’re the equivalent to what Christina Aguilera was in 2000. 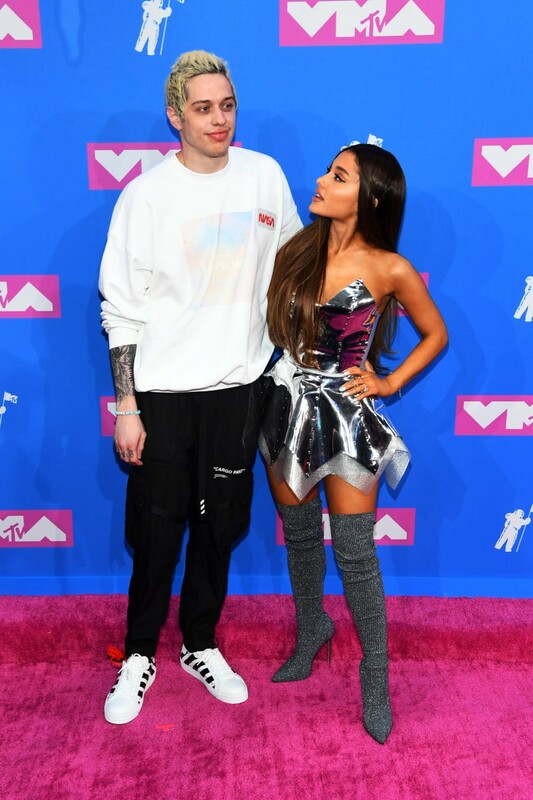 But instead of dressing like the current pop princess that everyone wants the details on, Ariana continues to dress as though she’s just come off the set of some bizarre Austin Powers remake. The dress made of tin, the thigh-high gunmetal glitter boots. It’s all so childish. So unsophisticated. Fire your stylist, sweetheart. Serious question: How many times do we have to endure J.Lo sticking her leg out of a metallic body-conscious Versace dress? We get it. You’re hot for 49. Show us something else. Rapper Cardi B is somewhat of the “It” girl in Hollywood at the moment. Songs at the top of the charts, a seemingly humble personality, pretty face, and quite hilarious to watch. With this Nicolas Jebran look, I totally get what Cardi was portraying. It’s all so Fresh Prince of Bel Air. And I love that about it. The purple color is divine on her complexion and the Emerald green jewels are easily the classiest accessory on this red carpet. It’s giving me Hilary Banks walks the red carpet. I’m okay with that. Honestly, I don’t even know why I’m expecting more from Blac Chyna. This maroon chainlink that reveals her entire bum is expected for the girl that we’re not exactly sure why she’s famous, to begin with. Nonetheless, this was one of the most dreadful ensembles on the red carpet between the long blonde ponytail, the barely-there dress, and the clutch and strappy silver shoes. Tasteless.